As sales of Android powered smartphones soar across the globe, Nintendo announces drastic cuts to it’s profit outlook and slash the cost of the new 3DS by up to 40%. Has the Google effect finally hit the video gaming mark? In a striking reversal of fortune for the world’s largest video game maker, Nintendo drastically cut its annual profit outlook on Thursday and said it would deeply discount its new 3DS hand-held device as it struggles to stem a flow of users to casual gaming across other platforms such as smartphones and tablets. 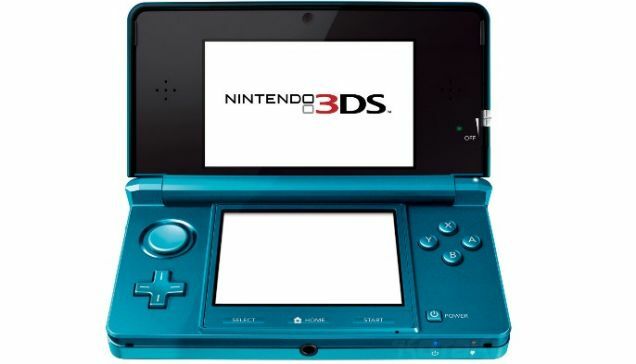 On August the 12th , Nintendo will cut the price of the 3DS, introduced in March, by 40 percent in yen and 32 percent in dollars, a remarkable drop so soon after a game system’s debut. Nintendo said it lost 25.5 billion yen in the three months that ended June 30, the first quarter of its fiscal year, as sales plunged 50 percent from a year earlier. The loss prompted Nintendo to lower its annual profit forecast 82 percent, to 20 billion yen ($257 million) for the year ending in March, down from a previous estimate of 110 billion yen. The company also slashed its annual sales forecast by 18 percent, to 900 billion yen. The gaming giant had been looking to the 3DS, its first major innovation since the launch of the revolutionary Wii home console, to propel them back to the heady days of the success they achieved with the console so memorably advertised by Jamie Redknapp! This hand-held machine lets users play games that appear in 3-D, without the need for the weird geek-boy glasses that accompany most current 3-D technology. But sales of the 3DS — which went on sale in February in Japan and in March in other parts of the world — have fallen short of expectations, hurt partly by the device’s worldwide release date, just after the devastating earthquake that struck Japan in March. However, this isn’t the root of the problems. Nintendo have been badly hit by the huge up turn in sales of the Android powered smartphones that are being purchased in such large numbers that Samsung overtook Apple in terms of sales in Q2 of this year. Smartphones that run Google’s Android operating system are the perfect platform for causal gamers to play instantly downloadable games and critically don’t require gamers to carry multiple devises as they travel. Smartphones also allow users access to games played within social networks like the now ubiquitous Farmville. Yes, the 3D technology is amazing and Nintendo have produced another revolutionary product but unlike the Wii this handheld is facing massive competition on multiple fronts. Will casual gamers invest in this technology when smartphones are delivering a good (if not great) experience but critically a massive choice of available games, many of them free? So with cost, portability and gaming choice already stacking up against the 3DS, do Nintendo have any choice but to slash prices? Nintendo has dominated the last generation of consoles with the Wii but for now, players complain of a lack of games for the 3DS, a problem that plagues most new systems. Nintendo said Thursday that two flagship titles for the 3DS — Super Mario 3DLand and Mario Kart 7 — would go on sale in November and December. The releases are expected to improve sales of the device. But unless more consumers start buying the 3DS soon, third-party developers could be discouraged from making games for it, leading to a vicious cycle of fewer games released and fewer 3DS units sold. Nintendo is hoping that the steep price cut will help drive sales. From August the 3DS will cost 15,000 yen in Japan, down 40 % from the original price of 25,000 yen. In a letter posted online, Satoru Iwata, Nintendo’s president and chief executive, offered a profuse apology to Nintendo users, saying that lowering prices so soon after a game machine’s release was a painful move.